When any of these occur, your doctor may recommend a second operation to replace some of the parts of the original prosthesis. This is what is known as revision hip or knee replacement. Like a total hip or knee replacement, a revision replacement aims to relieve your pain and improve joint function. However, revision hip or knee replacement is a more time-consuming and complex procedure that requires extensive planning and specialized tools and implants to ensure a good result. In some cases, revision surgery involves the replacement of only a few components of the prosthesis. Or, it could require the complete removal and replacement of the entire prosthesis along with the rebuilding of the bone around the hip or knee with a bone graft or metallic bone-substitute components. 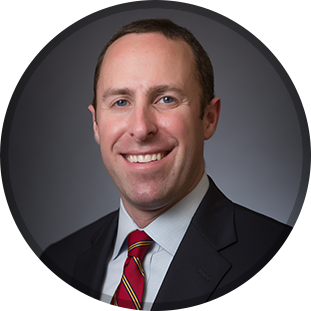 Dr. Brett J. Gilbert is specially trained in revision hip and knee replacement surgery and will work to try and get you back on your feet, moving freely without pain, as swiftly as possible. For more information about revision hip and knee replacement surgery, call our practice at (919) 788-8797 or schedule an appointment online.